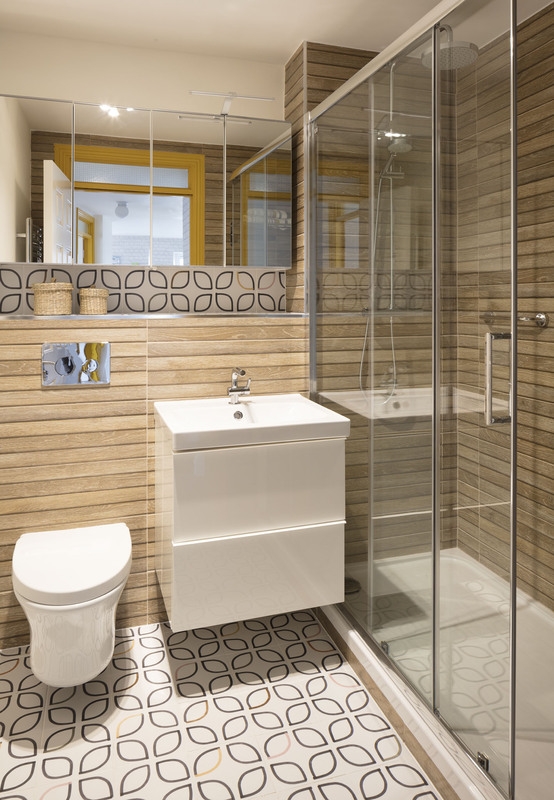 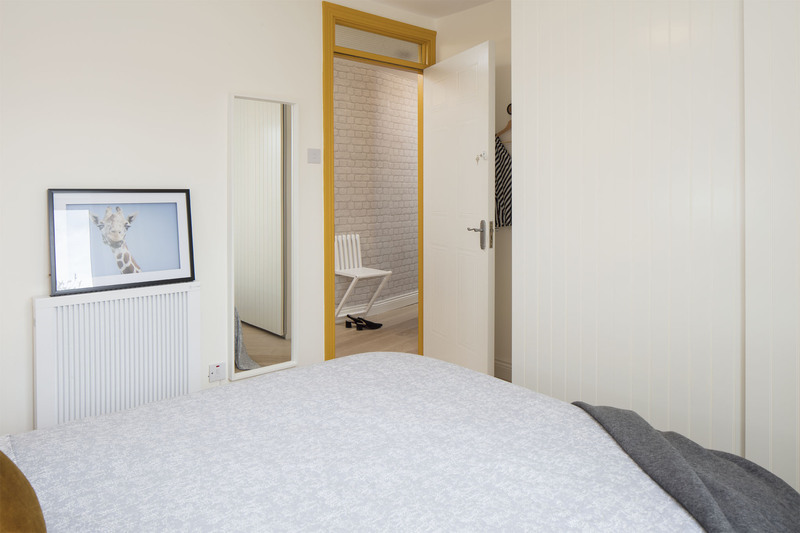 This small 2 bedroom apartment in Ringsend Dublin, was a very interesting renovation project for our designers. Starting with the layout, we designed an open plan living area with multiple functions. 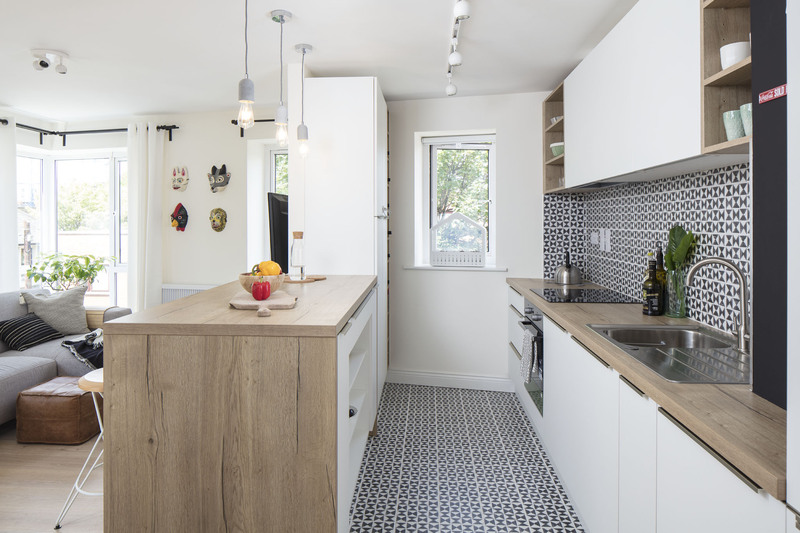 The new fitted kitchen was designed specific for this room with an extendable dining table and bench, both stored under the breakfast bar. 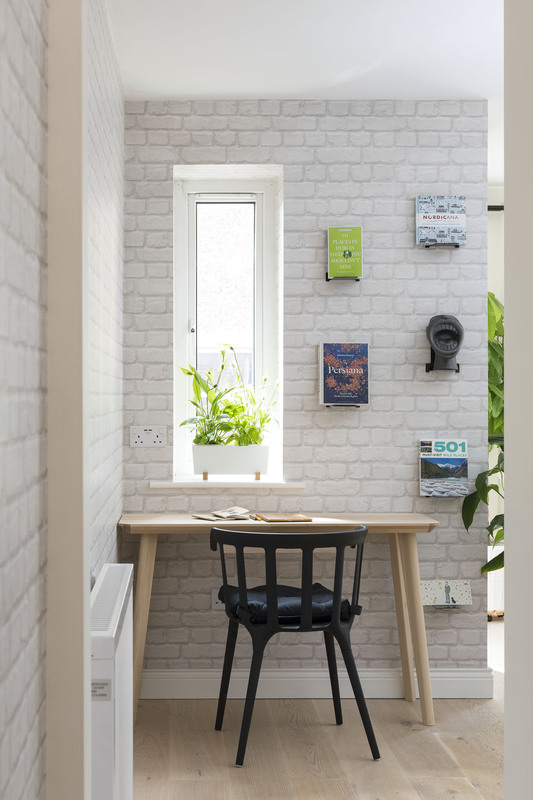 The idea was to improve storage and working space in the room while keep maintaining it spacious. 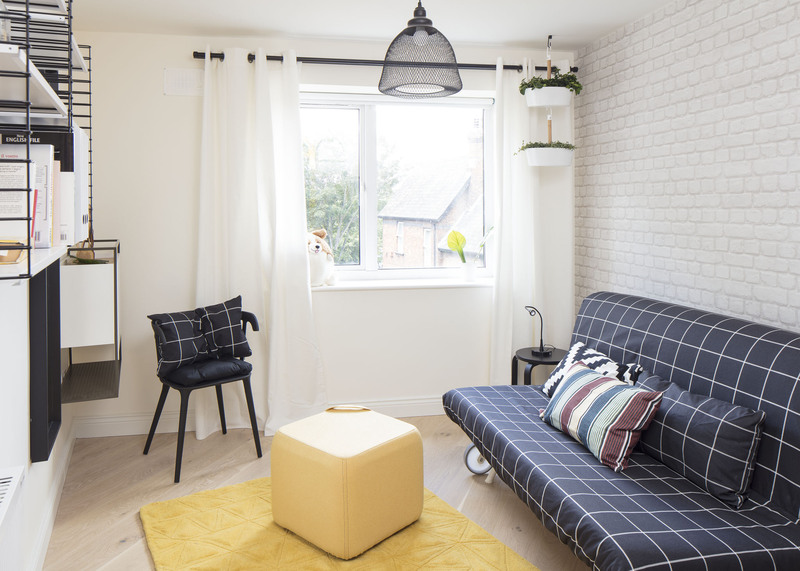 Serving as study, sitting area, TV room, dining and kitchen, we wanted the interior to benefit from all the light coming through all the windows. 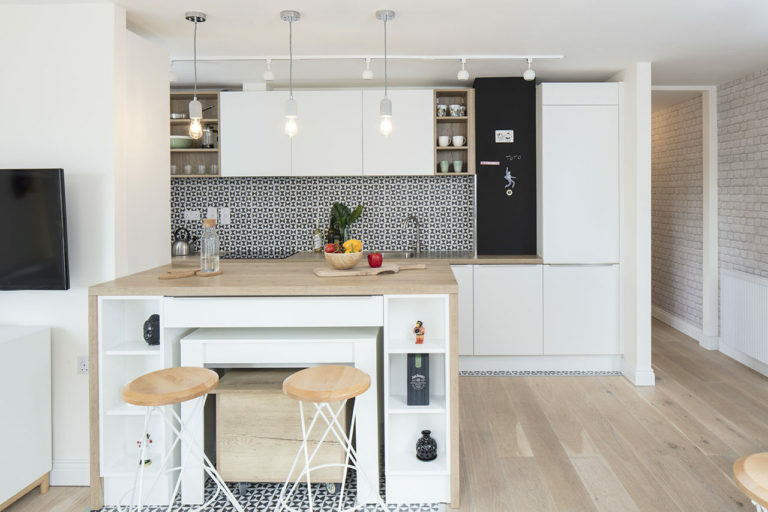 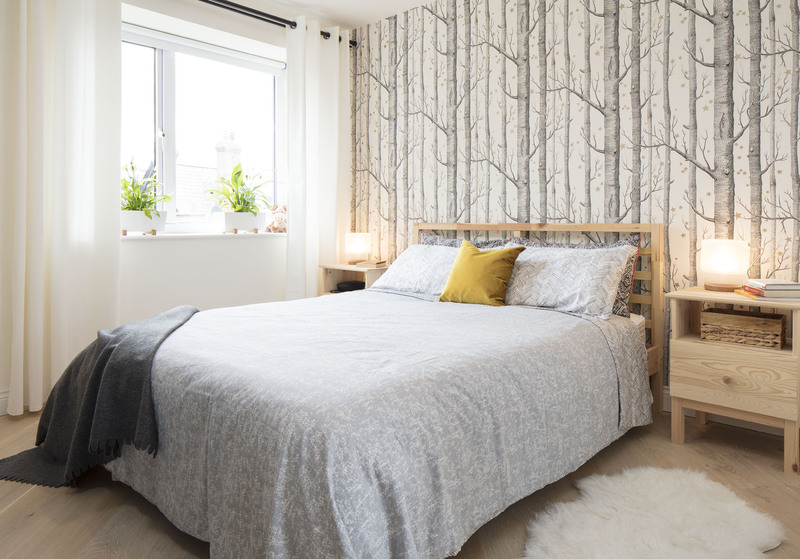 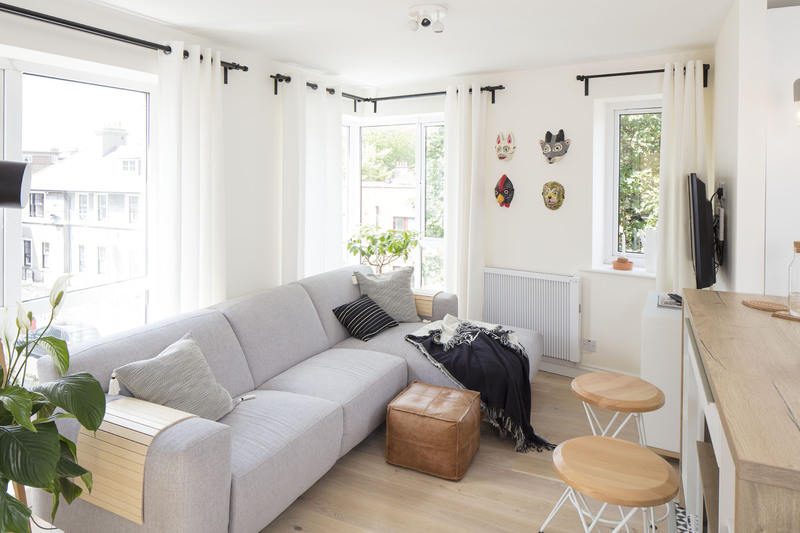 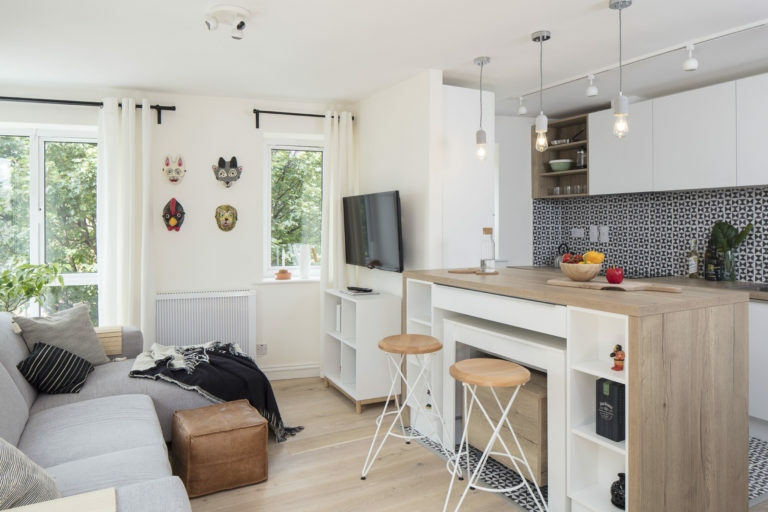 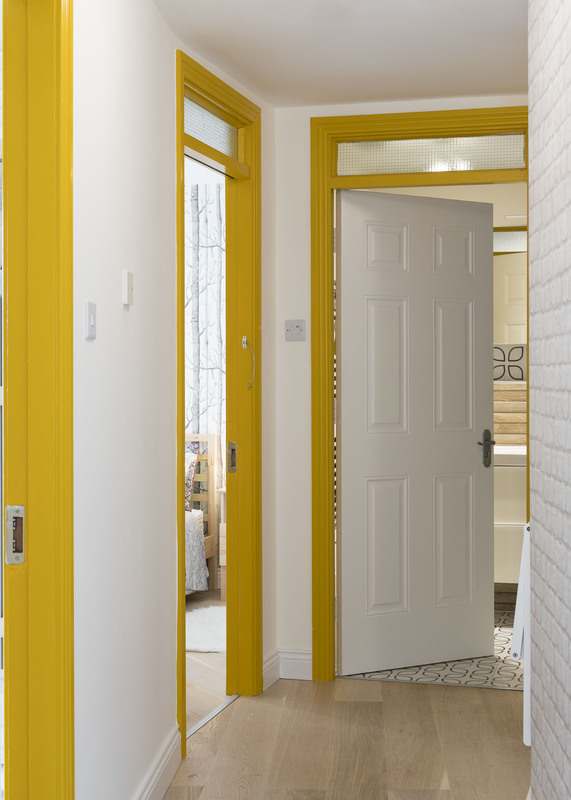 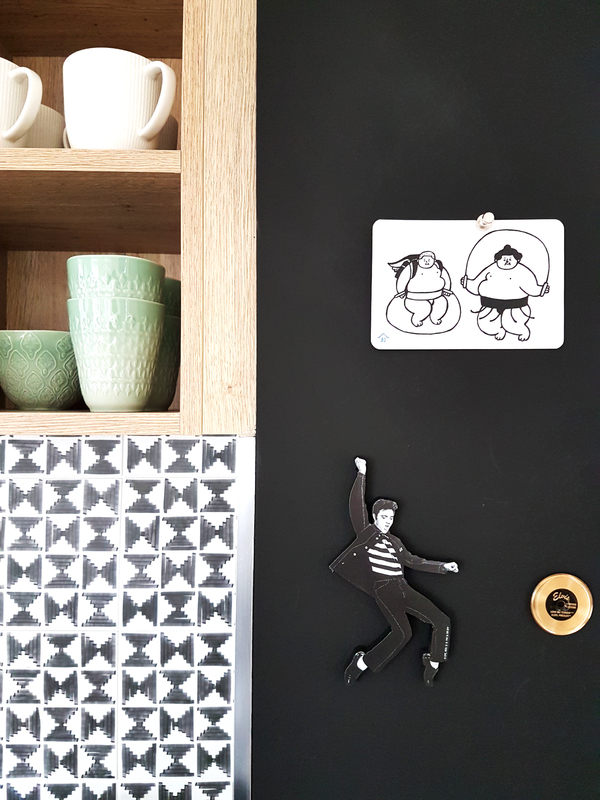 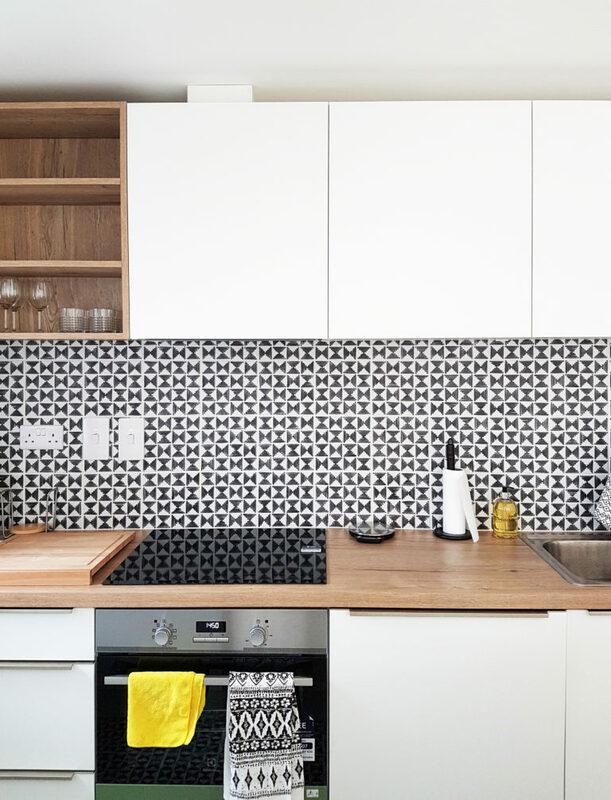 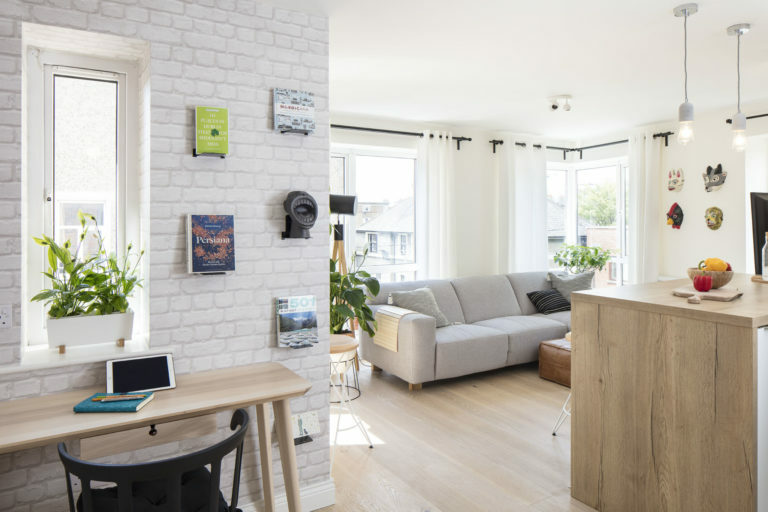 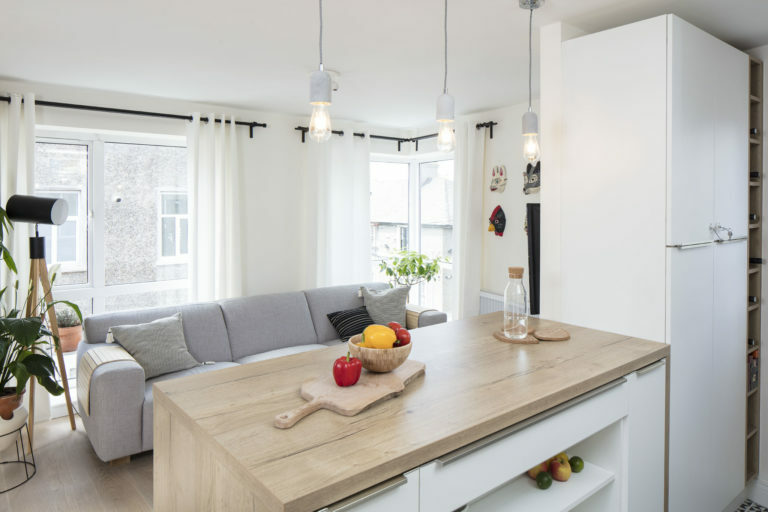 Through new engineered floors, tiles, wallpaper, new lights, wall and doors painting, new sanitary ware, this renovation inspired by Scandinavian design has transformed a dark and odd shaped apartment, into a bright welcoming home.